quite possibly the best blog you will ever stumble upon. : Book sharing!! ...then this is just the thing for you! 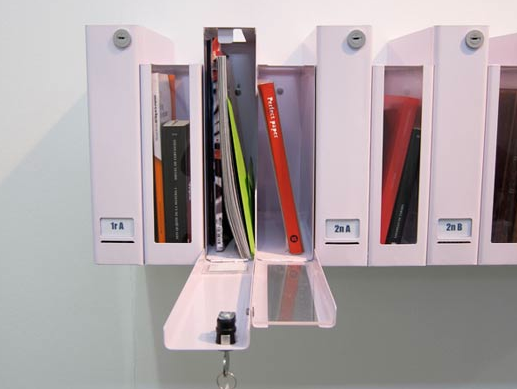 Now you can leave your books in your lobby or downstairs area of your apartment building, and leave the book there for your neighbors to take! I actually really like this idea, and think it can be used for other things, like delivery menus, DVD's, CD's and Netflix or something! Or maybe even recipes or a cool poem. Or maybe even a magazine or newspaper! The possibilities are endless, my friend CLI reader! 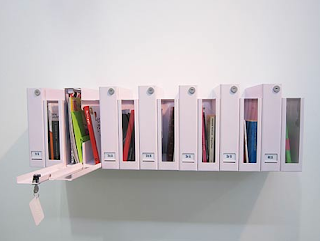 Actually, I think Joan meant something more like this: "We would pass on books we no longer needed by displaying them in a clear box attached to this mailbox, designed by Joan Rojeski, to catch our neighbours’ attention. If they see a book they would like, they can knock the neighbour’s door and borrow the book. We remove the desired book and slip it into their box. This encourages interaction between neighbours and the re-use of books."